GottaGoat Farm Schedule See What We Offer Questions? GottaGoat Farm started by accident. We had no idea that we'd end up with goats. However, they've had such a profound effect on us, that we decided raising goats is what we wanted to do (at least in our "spare time"). 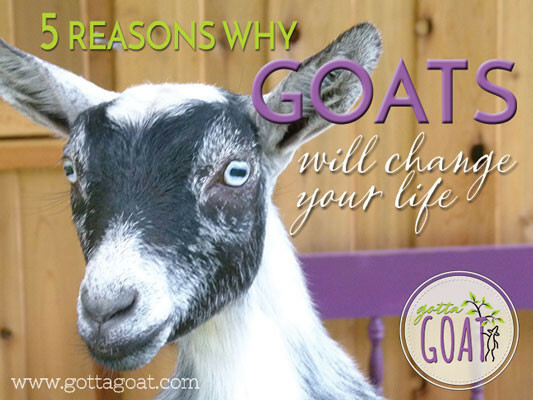 And we thought it would be FUN to share the joys of raising our goats, which is why we started this website. Of course there's a lot more to our little farm than just goats, so you'll find pictures and stories about all facets of the farm and our "family" members. Plus, we've had so many great comments about how we've designed and set up our farm, that we wanted to share our ideas with anyone who might be interested. We hope you enjoy browsing through our site, have a few laughs at some of the pictures, and maybe find some useful tips for setting up your own farm. When we have goats available for sale, they will be added to the website, so please check back frequently! GottaGoat Farm is located just outside of Penticton, British Columbia, Canada.